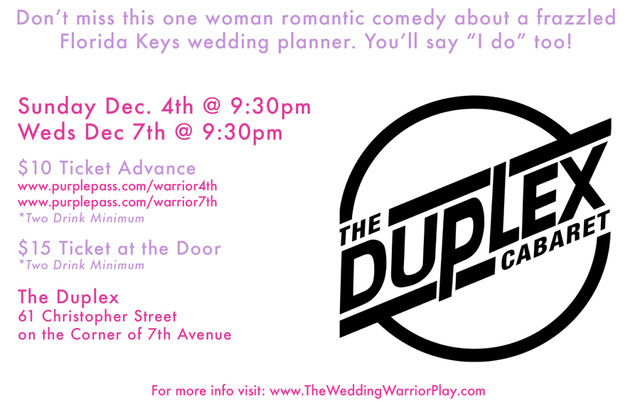 Fresh off its critically acclaimed runs at FringeNYC and The Chicago Fringe, The Wedding Warrior is back in The Big Apple at The Legendary Duplex for two special LOVE-FILLED performances, Dec. 4th & 7th! "Better off wed? That is just one of the questions playwright/Performer Casey Dressler poses in her One Woman Comedy about love, second chances and the wonderful weirdos with whom we cross paths, forever changing our journey. Featuring 15 hilarious and heartwarming characters, The Wedding Warrior will make you say "I do" too!" The Wedding Warrior was written in 2014 and has already been produced nationally and internationally to critical acclaim. Performances include The Edinburgh Festival Fringe in Scotland, United Solo Fest (NYC), 59e59 Theaters East To Edinburgh Festival (NYC), The Alliance Theatre (Miami), Universal Acting (Fort Lauderdale), The Vanguard (Fort Lauderdale), Florida Keys History and Discovery Center (Islamorada), The Fort Lauderdale Fringe Festival, FringeNYC and The Chicago Fringe. 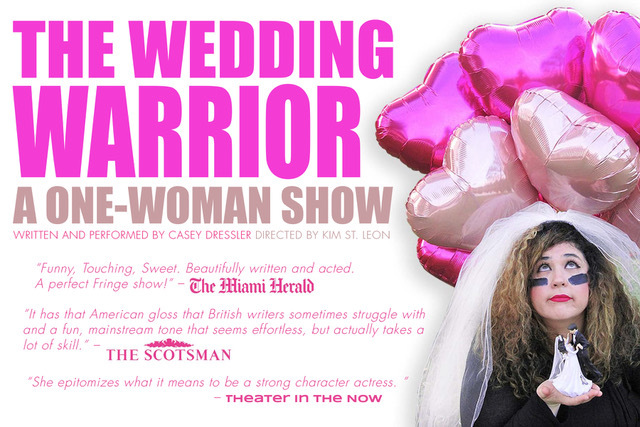 Check out The Wedding Warrior's awesome reviews from FringeNYC on show-score!